Erin Schnabel, developer lead of the WebSphere Liberty Profile, spoke to Alex Blewitt at QCon New York about the modular architecture behind the Liberty Profile, and what benefits this has brought both to end users and the developer team. She also highlighted how the the transition from monolithic to modular started with the configuration and broke down dependencies between services. Nick O'Leary talks about the creation of Node-RED, a tool for wiring together the Internet of things that he built on top of Node.js using a number of open source web frameworks. He also discusses open source hardware, the importance of open APIs and the rise of MQTT as an alternative to HTTP for IoT applications. Cloud Foundry creator Derek Collison talks about building the next generation of PaaS with his Continuum product at Apcera, and how Go was chosen as the core language for its development. He also talks about his earlier career at Tibco, Google and VMware, and the role of messaging systems like AMQP and MQTT. Alasdair Nottingham discusses the WebSphere Liberty profile and how it and the full profile make use of the OSGI subsystem spec and Enterprise OSGi. 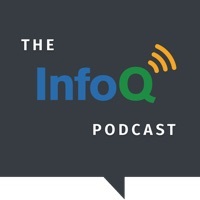 IBM’s Graham Charters on OSGi, WebSphere and Jigsaw. IBM WebSphere OSGi Applications Lead Architect, Graham Charters, talks to Charles Humble about OSGi, exploring its use and relevance within WebSphere, how useful it is for Java EE developers, and how OSGi and Jigsaw can co-exist. The interview also touches on issues around OSGi and governance, and the impact of modularity on development and operations teams. In this interview Charles Humble talks to Paul Cowan about the Resin Application Server architecture, capabilities, and where it fits in the Cloud market. Steve Vinoski and Bob Ippolito discuss web development with MochiWeb and Yaws and extending Erlang with native code. Also: async I/O in Python and Node.js vs Erlang. Bob Ippolito talks about building web services with the Erlang-based MochiWeb and the differences to the Yaws web server, the strengths of Erlang and Python, and more.